Kahoot has been one of the most famous game-based learning platforms in the recent times. Whether it is the schools or at home, kids love playing all the games. Also, for learning purposes, especially in the mathematics classes, teacher use it frequently. If you are one of the users who play Kahoot in your school or home then we have got something really interesting related to it. Well, if you are an Android user and go to a good school, you must be familiar with this game application Kahoot. It is also available for the computers. The app allows you to play tons of different games which help you in learning stuff. In the mathematics classes, it has been a really famous and favorite practice of the students. In this article today, we are going to introduce you to Kahoot Spam. Kahoot Spam is a spamming technique where you can flood any Kahoot game with tons of bots in order to achieve your mischievous goals. Whether you are trying to tease your teacher or just want to have some fun with the friends, this is a thing which you need for your Kahoot. In this article, we will be teaching you how the Kahoot Spam works, how to use it, and how this can be a real fun for you. Most of the tools you are going to find online for spamming Kahoot just do not work. There are tons of websites who claim to provide you with the legit spamming servers but when you actually go for using it, they aren’t just going to work. Now what we bring here for you are the real servers where the process has become much easier. All you need to do on our servers is to follow the few easy steps and you will be able to flood the game with hundreds of bots. We are going to tell you two different methods for Kahoot spamming online. One of them includes spamming the game with the live website servers while the other includes the use of a Google Chrome extension which is even easiest. Before we tell you any of the methods, let us take you through how Kahoot Spam actually works. You should know about the problems and issues which you may face. There is other stuff as well which you need to know so your teacher in class may not notice you as the culprit. So, let us begin with that now. This is the recommended way to hack your kahoot game by using our online tools. 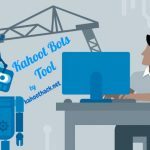 These tools will surely help you to get hack or spam your kahoot game instantly. It will generate auto answers for all your questions made by kahoot itself. Unlike how you think it is, Kahoot Spam is one of the easiest things online to make it work. With the release of the free servers which allow the free spamming of the game and a lot of extensions, this has become much easier. When you spam a server, there are a lot of online bots which join the game with you. This gives you advantages such as additional time to answer your questions and it becomes a real fun when you do it in the class. There are two top methods of spamming a Kahoot game. The first methods is the free website servers methods where there are live servers and you will need to add the information such as the game pin, number of bots, solve a CAPTCHA, and you will be good to go. The other method is even easier where you just add a spamming extension to your internet browser. The best of the extensions which you get is on the Google Chrome and one of them is available in our guide as well. Once you have knowledge of that, let us move on to the final step. How to use Kahoot Spam with Website Method? In the first step, the web will ask you to enter the game pin of the game. When you start a Kahoot game, it gives you a pin or you can find it in the settings. Note down the pin and enter in the pin tab of the website. In Kahoot and to use it, you get a user ID. Now for this methods, the second step is to enter your user ID and proceed. The third step is to select the number of bots you want to spam the game with. Make sure that you choose a number which doesn’t appear very fake to the teacher and in this way you will have more fun. The last step is to solve the CAPTCHA and you must be aware that how easy it always is. Once you have taken care of all of these steps, you are done friend. How to do Kahoot Spam with the Extension? There are a lot of website extensions which allow you to do this. The best extension which we recommend is for the Google Chrome and comes by the name Kahoot Bot. Now let us take you through the step-by-step procedure of doing the Kahoot Spam with this Kahoot Bot extension. For the first step, just go to the Google Chrome web store and there, search for this Kahoot Bot extension. Once you have found the extension, simply install it in the chrome by adding it to the browser. Once it is added, you will be able to see its icon at the top. Now click it and it will open the menu. Enter the pin of the game which you are playing in the Kahoot. Now in the extension drop down menu, enter the number of bots you want to flood the game with. Enter a prefix which could either be your school name or anything. Now enter your User ID and there is no need of solving any CAPTCHA with this.